Do you feel overwhelmed with all of your stuff and responsibilities? Do you ever wonder that the lifestyle of too busy and too much might be making you sick? 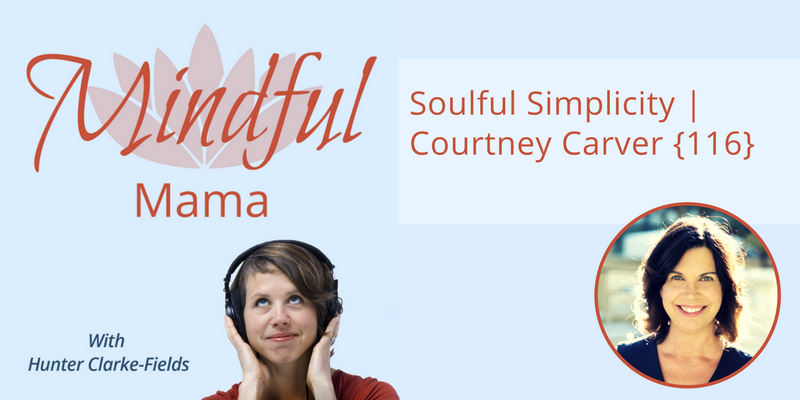 In this episode, I talk with Courtney Carver, author of Soulful Simplicity, who tells her story of the damage and stress too much can cause and the healing power of slowing down and simplifying. 1. Our lives of too much — too much stuff, too much busyness, etc. -take us away from what is really important and can even lead to stress-related disease. 2. Changes don’t have to happen overnight. But we can start to take steps in the direction of more freedom and less stress. Courtney models the bit-by-bit middle path. 3. Our stuff fails to deliver again and again. How can you spend your time and attention on what REALLY matters? What is the life you want to lead instead? The question that puts you into the mindset of possibility. Courtney Carver is the founder of bemorewithless.com and minimalist fashion challenge Project 333. Her new book Soulful Simplicity was recently published by Penguin Random House. What is your biggest takeaway? Where can you simplify your life? Start the conversation in the comments below! Thank you so much for listening, commenting, and sharing!